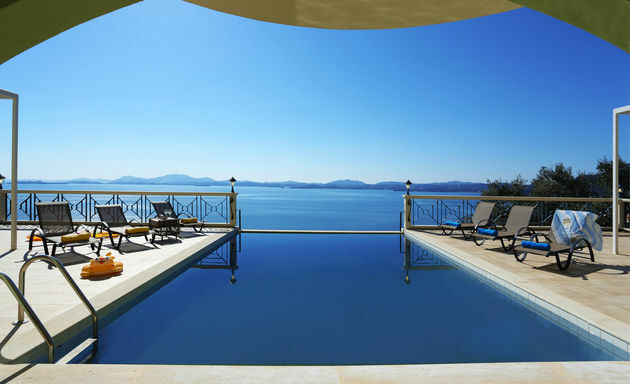 Corfu is the most northern of the Ionian islands. Parts of its north east coastline are just two kilometres away from Albania. 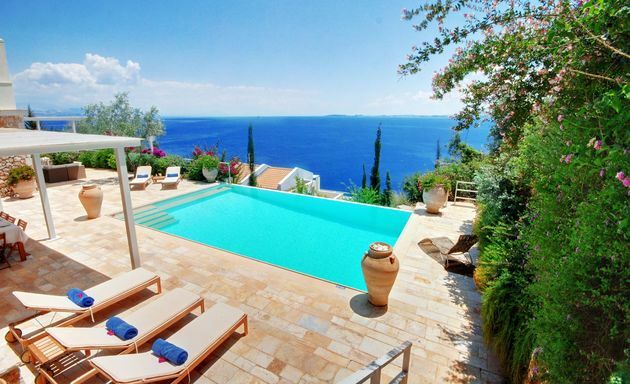 Corfu still remains one of the most beautiful islands in Greece. 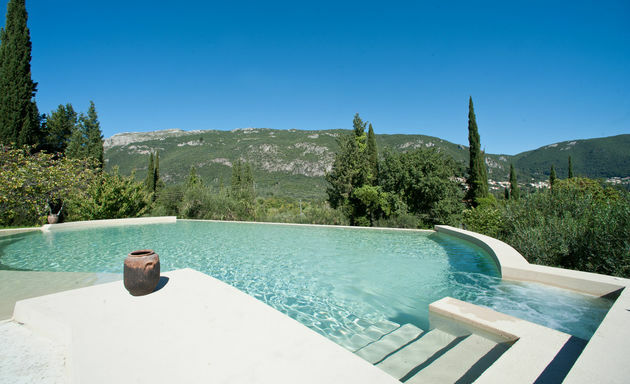 The island is large enough to appeal to many tastes and pockets without each imposing on the other. 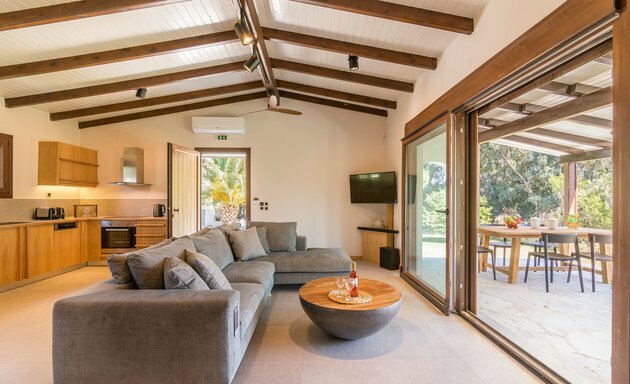 Some of the island’s resorts cater sympathetically to the more discerning visitor: a more adventurous cuisine in restaurants, fast boats, an 18-hole exclusive golf course, dial-up chefs and masseuses for villa visits and a feeling of exclusivity in must-be-seen-in bars. 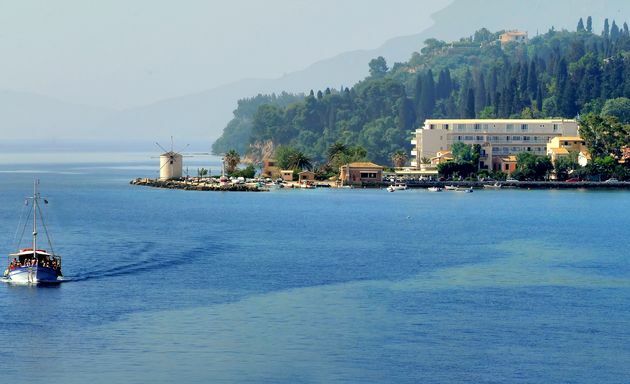 A drive inland however or to a more remote part of a coastline will introduce the more intrepid visitor to the older, traditional Corfu with its sleepy hamlets hidden away amongst farms of olive and citrus groves and dramatic views over natural landscapes. 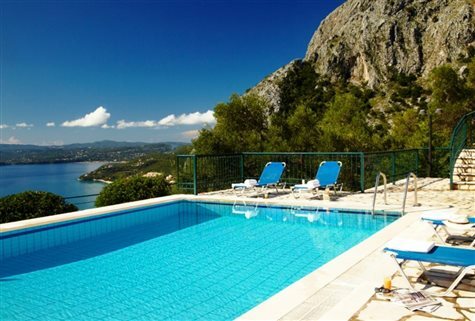 Corfu has both waterparks and wilderness, sophisticated dining and simple snacks, busy beaches and hidden hideaways. Each of the island’s coastlines contains a variety of attractive beaches – dramatic sandy beaches on the west coast and shingle framed by cypress and olive on the north east. 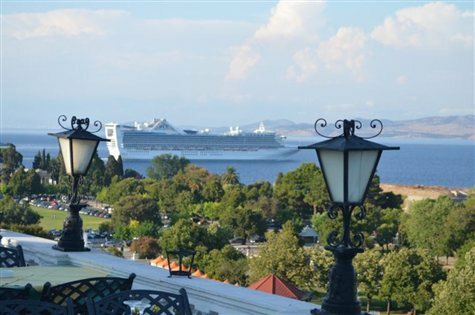 Car hire is needed for long distance exploration but boat hire is more fun. 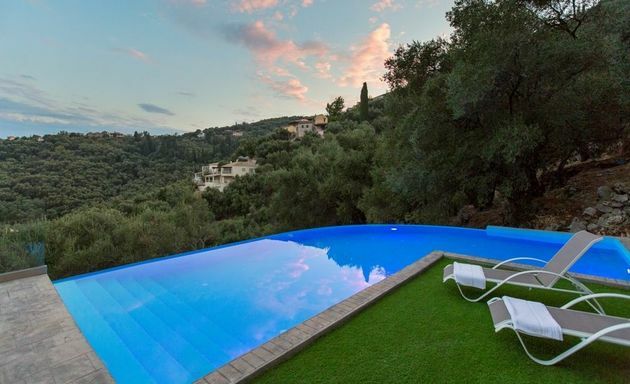 Harmonia is a swish villa surrounded by olive groves and is just 150 metres away from the sandy beach of Kanouli on Corfu's south-west coast. 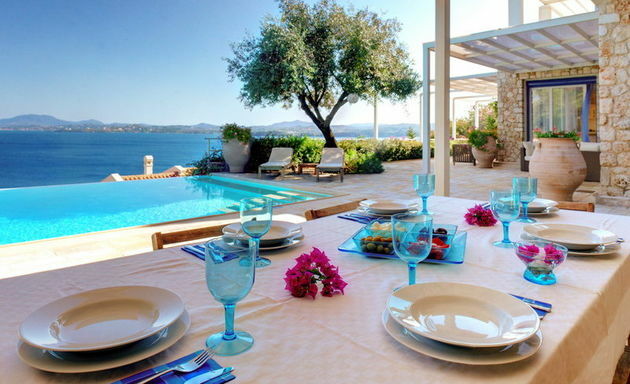 Villa Helios stands on a hillside terrace above the bay of Nissaki and has dramatic views along the east coast of Corfu. 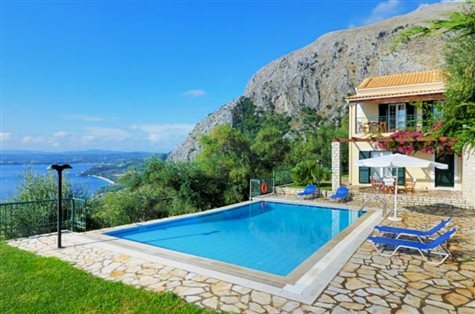 Villa Ionia has large private grounds on a hilltop overlooking the bay of Arillas and the offshore islands of Orthoni, Mithraki and Ericusa. 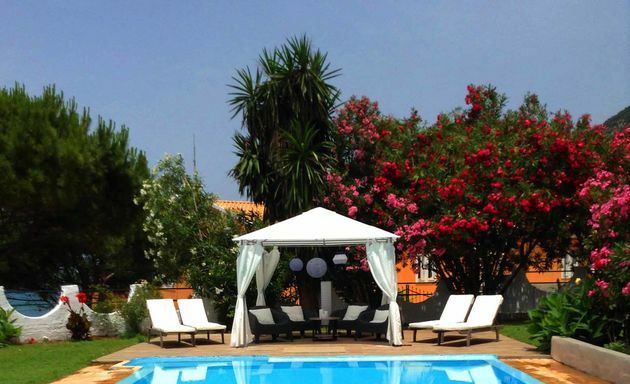 Villa Kalami is a modern and comfy villa, close to sandy Halikounas beach on Corfu's south west coast. 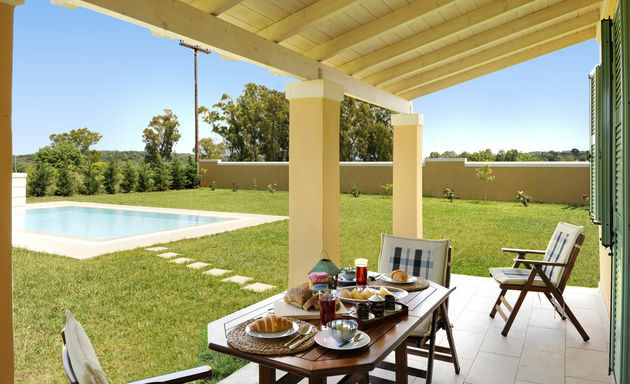 Villa Kalithea is just 100 metres from Paramonas beach and two of the village's tavernas. 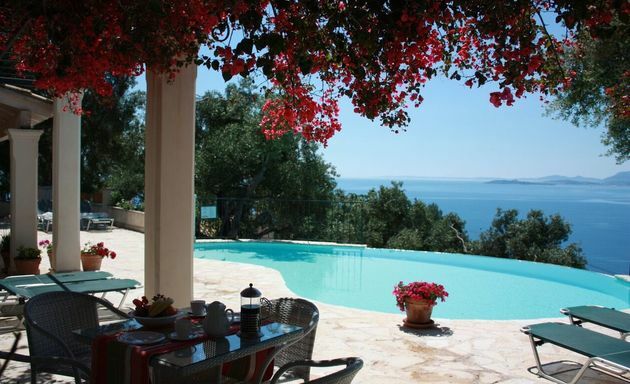 Overlooking Nissaki Bay, Lithari has dramatic views over silver-leafed olive trees and across the sea to Albania. 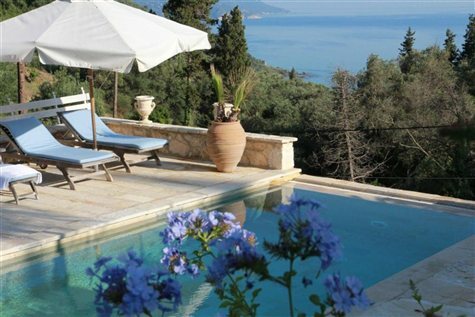 Villa Martina is one of three private villas set on a hillside terrace overlooking Corfu’s eastern coastline just 10 kilometres south of Corfu Town.